Welcome to the world of JOE! Unique to our pre-school learners, the JOE programmes are a series of engagements designed specially for children on themes of environmental care and character development. The lessons are taught through a recurring character designed specifically to connect better with children. Developed wholly by WOW Kampung, JOE (Just One Earth) is a character who represents the only liveable planet we have today. 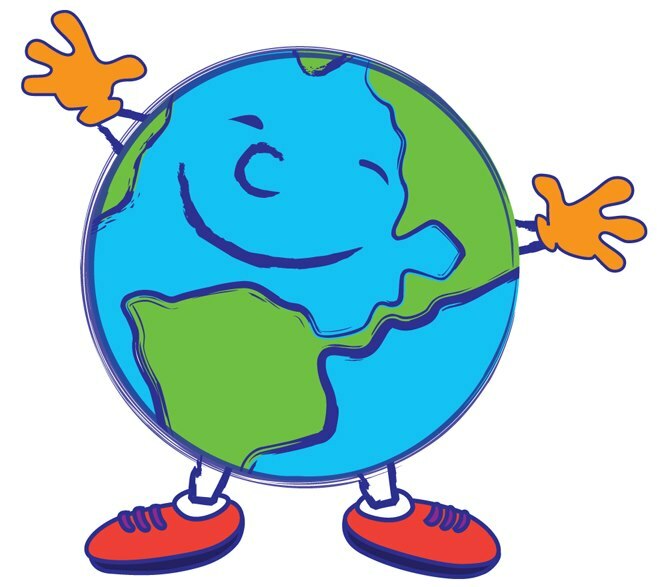 With his bright colours and joyful smile, JOE provides an inviting and strong personality for children to relate and become best friends with in their journey of loving and caring for Earth. This emotional connection with JOE helps children to spark curiosity, retain knowledge and discover how to apply learning from a young age. To sow the seeds of caring for the environment and our community. To weave learning into the child's understanding of the world, their values, and their character. To develop a deeper understanding of the interconnectedness between self and the wider environment. To encourage family involvement in the child's learning, and through the child, spread the spirit of active social and earth citizenry through their family and the wider community. A foundational step to open and excite children about JOE! Through 6 themes designed to complement pre-school education that teachers can choose in relation to their present curriculum. An environmental sustainability class based on values and character development. Meet JOE exposes children to the wonders of our earth and to kindle their interest in caring for the environment and all who call it home. Module-Specific Hands-On Activity to reinforce the core learning, e.g. growing a plant, making traditional food, craftwork etc. Through the diverse activities and learning tools, children will gain a holistic experience of what JOE means to them, weaving their learning into their understanding of the world, their values, and their character. An environmental sustainability class based on values and character development. Don't Mess With JOE exposes children to the wonders of our earth and to kindle their interest in caring for the environment and all who call it home. Through the diverse activities and learning tools, children will gain a holistic experience of what Conservation means to them, weaving their learning into their understanding of the world, their values, and their character. An environmental sustainability class based on values and character development. Farmer JOE exposes children to the wonders of our earth and to kindle their interest in caring for the environment and all who call it home. Through the diverse activities and learning tools, children will gain a holistic experience of what Food means to them, weaving their learning into their understanding of the world, their values, and their character. An environmental sustainability class based on values and character development. Thank You JOE exposes children to the wonders of our earth and to kindle their interest in caring for the environment and all who call it home. Through the diverse activities and learning tools, children will gain a holistic experience of what Gratitude means to them, weaving their learning into their understanding of the world, their values, and their character. An environmental sustainability class based on values and character development. Splashing With JOE exposes children to the wonders of our earth and to kindle their interest in caring for the environment and all who call it home. Through the diverse activities and learning tools, children will gain a holistic experience of what Water means to them, weaving their learning into their understanding of the world, their values, and their character. An environmental sustainability class based on values and character development. JOE & My Community exposes children to the wonders of our earth and to kindle their interest in caring for the environment and all who call it home. Through the diverse activities and learning tools, children will gain a holistic experience of what Community means to them, weaving their learning into their understanding of the world, their values, and their character. Delve deeper into the themes of JOE with our camps, learning journeys and carnival day! Encourage greater independence & self-discipline to boost self-esteem in children. By going back-to-basics in an outdoor environment, Grow With JOE brings learning through purposeful play and fun. We aim to sow a seed in children towards having the essential qualities and life skills to care for themselves. A unique 2-hour hands-on learning journey in our exclusive Kampung space allowing structured investigative learning designed for pre-schoolers. Starting with an interactive storytelling about the Kampung, followed by an organic farm tour, we bring children on an adventure to the wonderful world of plants, insects, and animals that share the Kampung with us. End the day with a DIY take-away of a planted edible green to continue the learning back at home. By going back-to-basics in an outdoor environment, the Kampung Loves JOE Learning Journey brings learning through purposeful play and fun. We aim to sow a seed in children towards having the essential qualities and life skills to care for themselves. and Self-esteem of the children. Aimed towards a partnership with CDCs, JOE Day is a 1-day parent-child carnival that brings together children who have participated in our JOE Opener programmes and their parents, while inspiring the community to adopt a green lifestyle. Join our movement in creating positive change in the culture and heart-ware of pre-school education through the JOE Project. At WOW Kampung, we believe growth and change takes time, and requires more than just the short engagements from workshops. The JOE Project ignites pre-schools and the children to embark on projects that bring nature and their learning back into the classroom to fuel the growth and inspire a change in culture and attitudes among the pre-school community. This concept of a Living Classroom is inspired by the Chinese idiom "钟灵毓秀"(which means "a place filled with the beautiful spirit of nature and community will nurture talented and spirited people with elegance and grace") and helps to provide a different sensory stimulus into the learning spaces.